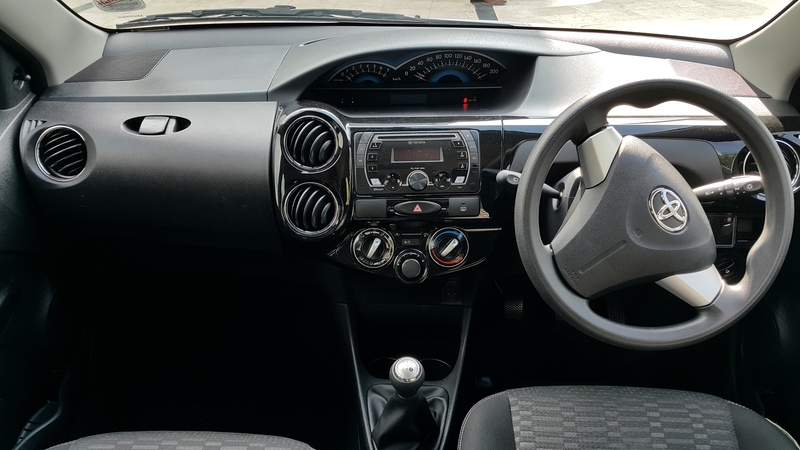 We review the new Toyota Etios Cross. Open to most emerging market countries, this car represents great value, easy to drive, lots of space and handles nicely. 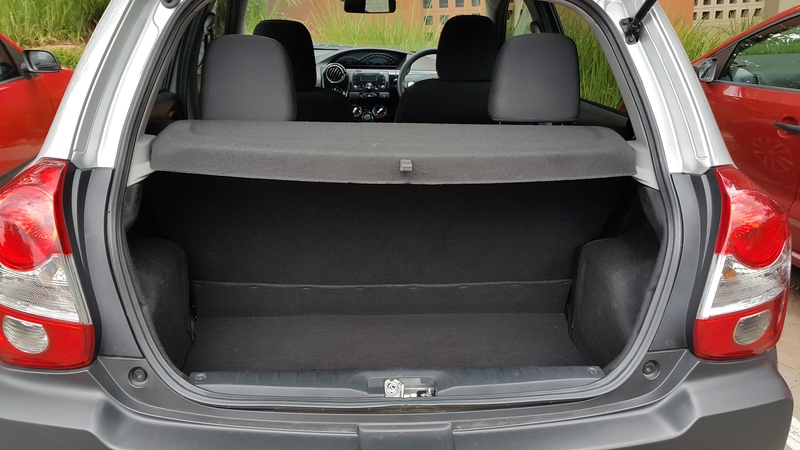 CR is a regular Toyota lady , she has the Aygo, and loved the Etios, with a little more space. I love Toyota! I always have ever since I was a little boy running around Newlands East, Durban. 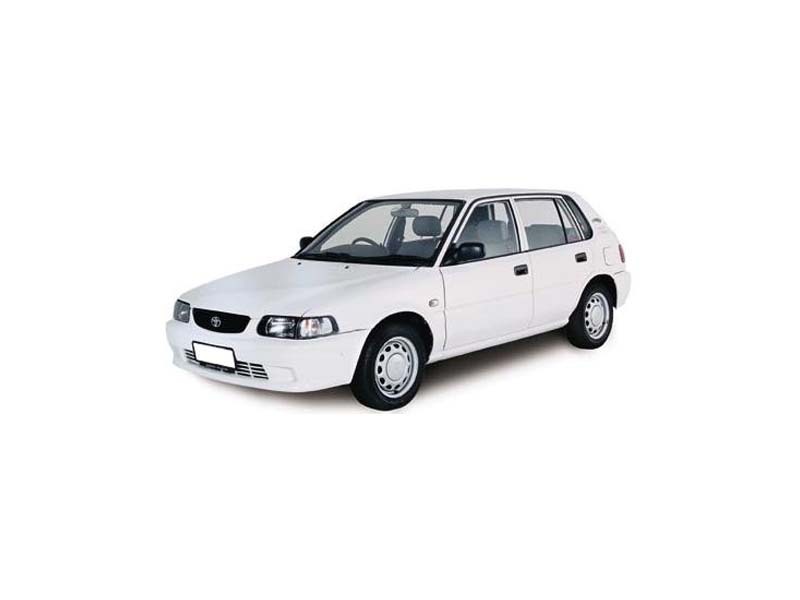 Back in 1987 we had a white Toyota Corona, and I remember it being super reliable into the Durban CBD and back. Even long trips to Ifafa, and Park Renie, and if any of you come from KZN and grew up in my neck of the woods, those two trips were sacred annual voyages. Later on I think I remember a Toyota Hilux as well. My dad works with his hands, and there was always stuff for customers on the back of it, that needed to be delivered. There is nothing more reliable than a Hilux, it`s been proven daily all over SA, even with an old prof I know of from Wits, who sold his 1983 4×4 3.0 D Hilux with way over 1 200 000 kms. It is legend and so is he! At some point in 2003, as I entered the formal job market, I needed a car, to get to work and back. I had to see customers as a sales rep, and that meant that I could no longer rely on public transport via Taxis and Buses in the greater Durban metro to get around. As I have mentioned before, what car you drive or decide to buy boils down to two major factors. Cost, in this economy is a major one! For me, coming from an extremely humble background, that was often the main factor in my decision making progress. Once that is out of the way, reliability is also very key. I am the kind of person who would prefer to buy a product at a slightly higher cost and keep that for many years, versus just heading out and buying the cheapest thing I can find, specific to what I need. This is true for my black Pilot Pen bought at PNA Nicolway 1 year ago for R 100, as it is for my Toyota Tazz I decided to buy in 2003. Reliability and good value are two very important factors for me and my family. Don’t roll your eyes, the TAZZ is an amazing little car! With those facts in mind, here is the first Toyota Review we have ever done thus far, based on the all new Chunky Etios Cross! 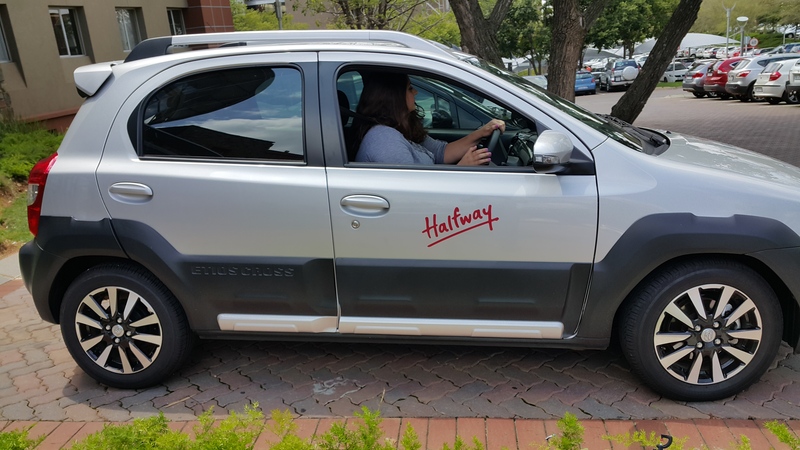 Judging from the Naamsa sales on the Etios in general – we cannot believe what amazing value this little car is! 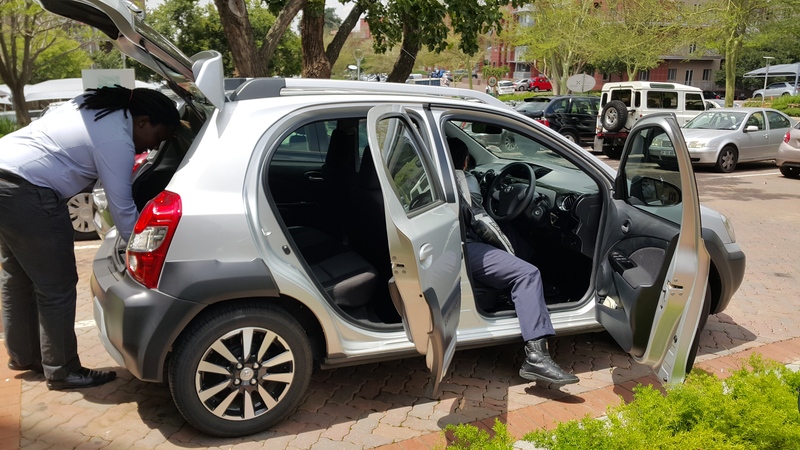 I have often needed to travel for work purposes due to my work in sales, and I get to drive nearly every mini – grade A – C segment car there is at Europcar, Avis and First Car rental, whenever I have had to fly to see clients. For me personally, I feel the Etios in general is a fantastic car! When you have many people to see, you need good driving feel on the road especially in bad weather, and petrol consumption that won`t require you to own any shares in a petrol garage in SA. With petrol increases coming in the new month, more and more people are moving from larger luxury segment cars, down to the basics. In the past month alone – we drove the VW up and loved it. The Etios for me, is no different in terms of what it is and what is not. 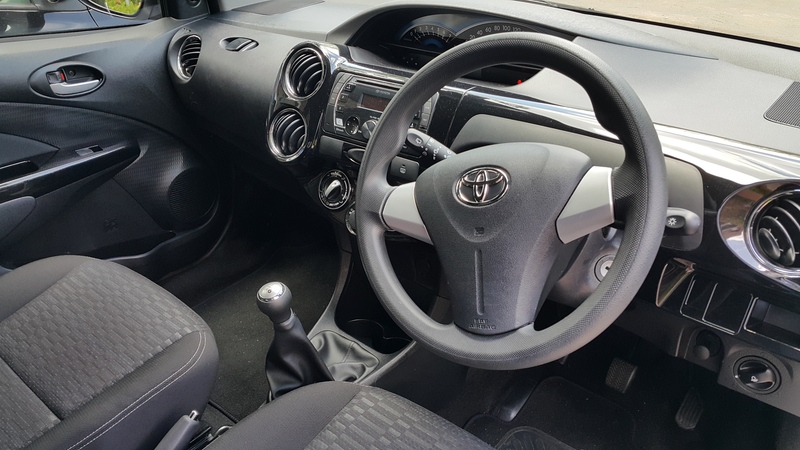 The Etios is under R 160 000, we cover what that entails next. Plastic cladding gives it a tough look from the outside. The new Cross design has a few readers polarized, as they see the Etios as a similar remake to the VW Cross Polo. I do agree that in terms of the plastic cladding – the rear bumper and interior Bling, the car is somewhat pimped – in terms of what it is. I personally, really like the new mini SUV type look! The new interior has a black piano finish on the dash, which does give it a premium type feel. I wish that more manufacturers would try something different like this, in terms of styling! 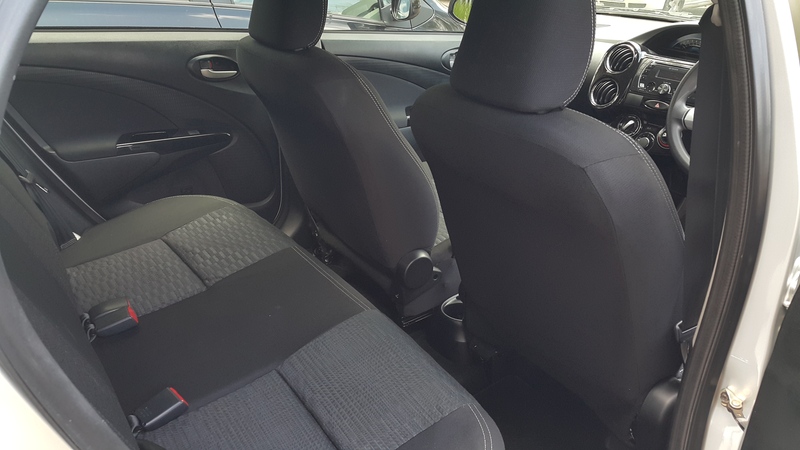 This car has loads of space inside to move about, has ISOFIX rear seats, and from a safety perspective has 2 airbags included for driver and passenger in the front. It scored 4 Stars in the Latin NCAP testing process, which is overseen by the Global NCAP office as well. We will publish a blog, on the testing criteria too, so that you know what the stars mean and why that matters. 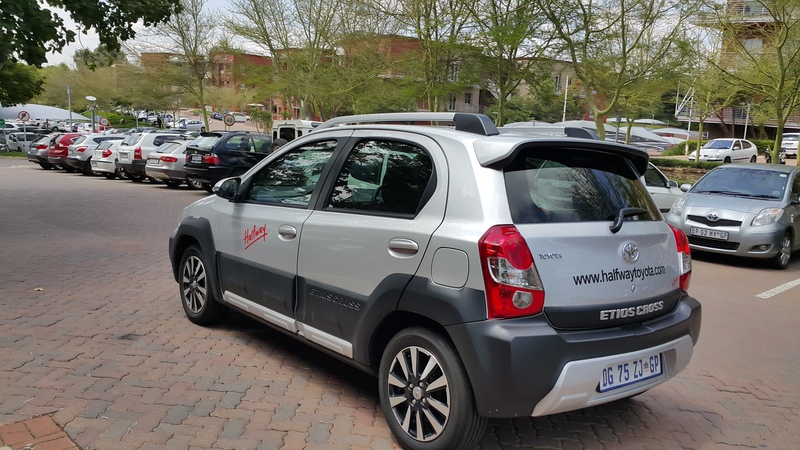 Once again on the day we picked up the Etios from Halfway Toyota ( huge Dealership next to Design Quarter- Fourways), I once again had a few meetings to attend. The car was very easy to drive, had a very punchy 1.5 petrol engine mated to a 5 speed manual gearbox. I do drive an automatic car daily, but I found the clutch, gearbox and overall steering feel very easy to get along with. I would buy this car, especially for getting from A2B. I am not sure about how it would fare on the long open road, but I am sure as with any other Toyota, it could go on for days! The steering is very light –and great for parking. The overall car seems bulky thanks to its new design, but it can quickly zip in and out of traffic. In a country with minibus taxi`s are constantly at competition, the ability to swerve and still keep control of a car is always needed and pulling out of the dealership this was tested at the first traffic circle we encountered. The cost is well priced. 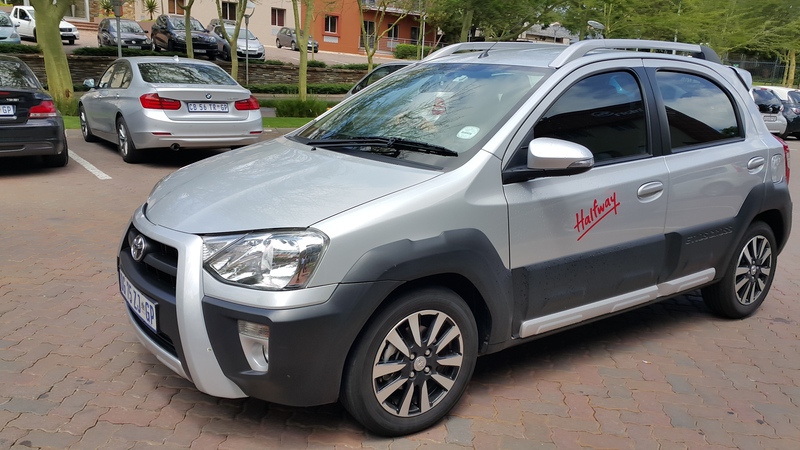 Sure some may say why not just buy the normal Etios for slightly less, but I feel with the cross like it was proving its value to me, with every km that we drove it on the day. It is a great car to drive and the cost matches exactly what it gives. The overall package and styling is very quirky, but we love it that way. When this car grows up, it would like to be a Fortuner! If you are looking for something in the R 150 k plus mark and need something reliable – this would be a great car. Just so we don’t appear bias at any time, we would look at the VW Up, or Polo Vivo (only a R 9000 difference in each base model. Also look at the new Honda Jazz which we will test soon for you, in April 2015. Each model would be good to look at, as safe and reliable cars to use. These cars range between R 133 000 up to R 179 000 for their respective base models. A special word of thanks goes out to the GM of Sales, Richard from Halfway Toyota who is a great guy to deal with. We can understand purely from our brief interactions with this dealer, why they sell so many cars. There is a real focus on customer service, we previously serviced my very old Tazz, Corolla and Fortuner, at this dealer for about 5 years. 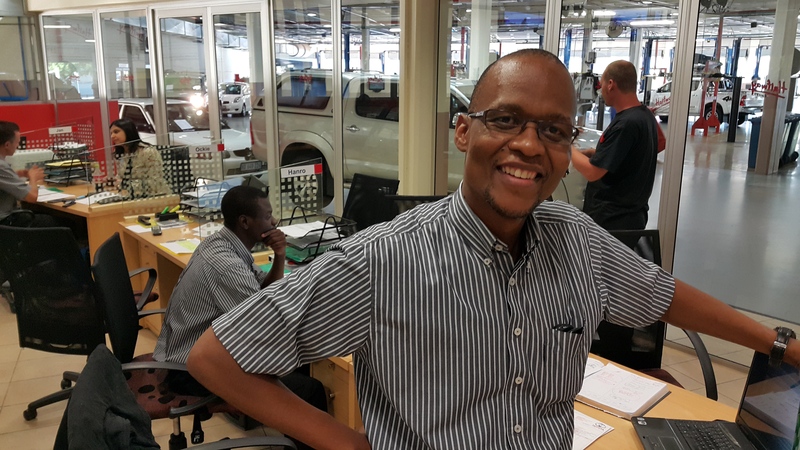 In terms of Service – chat to Judge Phudhuhudu, who will get his own blog post very soon on this site based on his uncanny ability to deliver great service in the service department. Judge Phudhuhudu – service consultant at Halfway. Been servicing with this guy for 5 years. Very diligent, and focussed on customer service! Depending on the height of the driver, not too much legroom in the rear. This entry was posted in Car Review. Tagged Avis, Corolla, Durban, Etios Cross, Europcar, First Car Rental, Fortuner, Fourways, Halfway Toyota, Honda Jazz, KZN, Latin NCAP, NAAMSA, Newlands East, Pilot, Polo Vivo, Tazz, Toyota, Toyota Corona, Toyota Hilux, Toyota Hilux Legend, Toyota South Africa, VW up. Toyota has to me been the most reliable vehicle a person could ever own, half of my family members owns either a Hilux, Corrola, Yaris and Condor and really growing up it has really proven itself no doubt. I remember when i crashed my uncle’s most prized possession his 1997 Toyota Raider Doublecab (which is still in top shape and can drive all the way to the cape and back), i had thought it was done and to my surprise the wall suffered all the damage and the Raider was still standing strong. It is 17 years old this year and still runs runs like its brand new now for me that is true engineering. big ups to Toyota and reliability. it truely can walk 500 mile and 500 more. 100% brother man! Toyota is super reliable. They also test many of their cars in local conditions here, to ensure that they can withstand the tough climate and even tougher drivers. Look how many Corolla`s are still around to this day! Thanks for reading the blog!